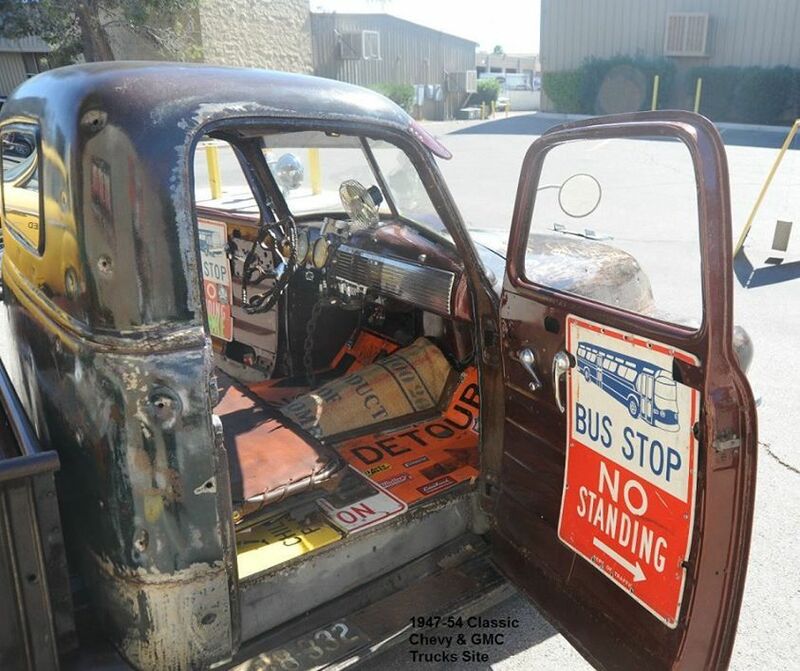 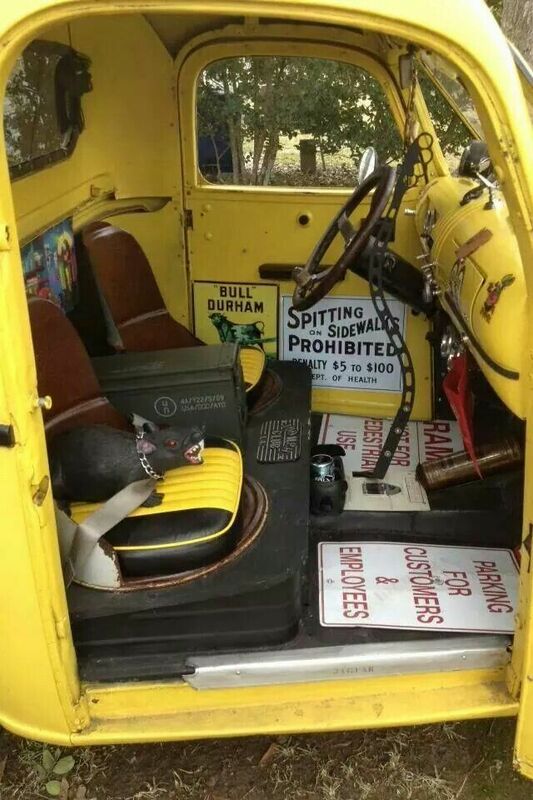 road sign floor and door panels with a parachute cord suspended seat, a chain and piston shift knob, and a chain and connecting rod steering wheel. 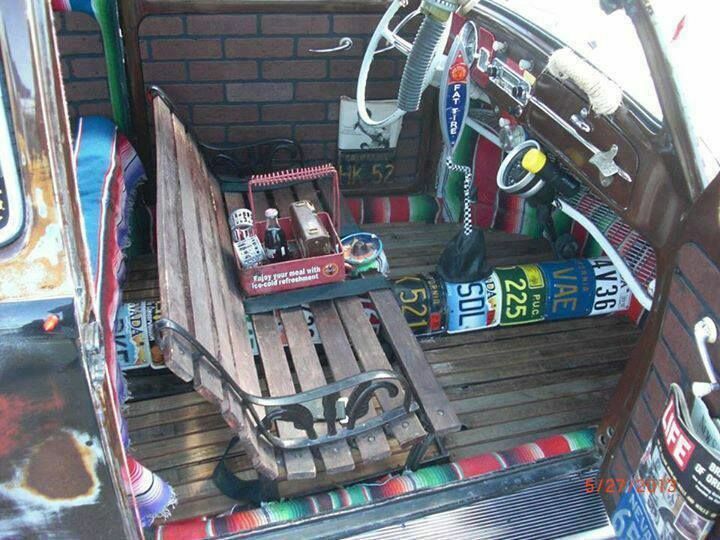 This is pretty awesome!!! 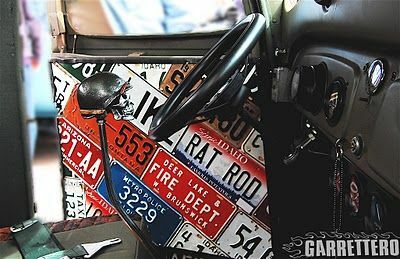 Was at a restaurant in Key Largo a while back (circa Hurricane Frances) and the walls were similarly covered. 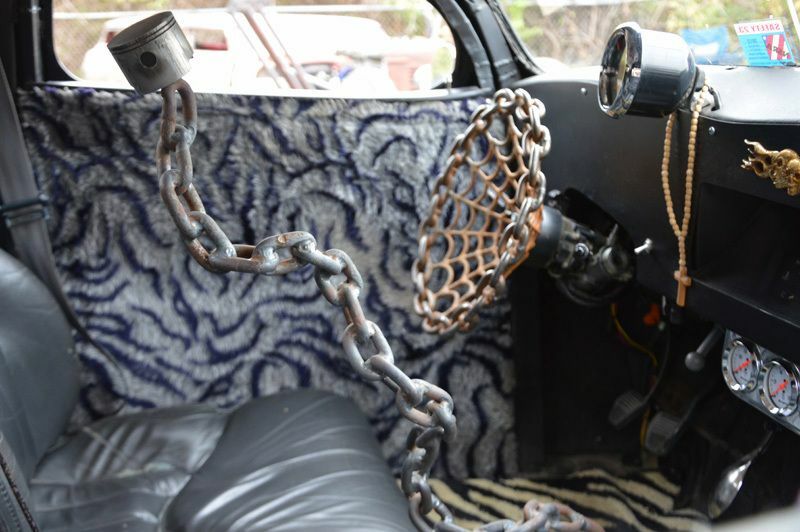 1928 Model A Rat Rod Chain steering wheel, Piston rod cup holder, Big Cam Cummins shifter piston rods. 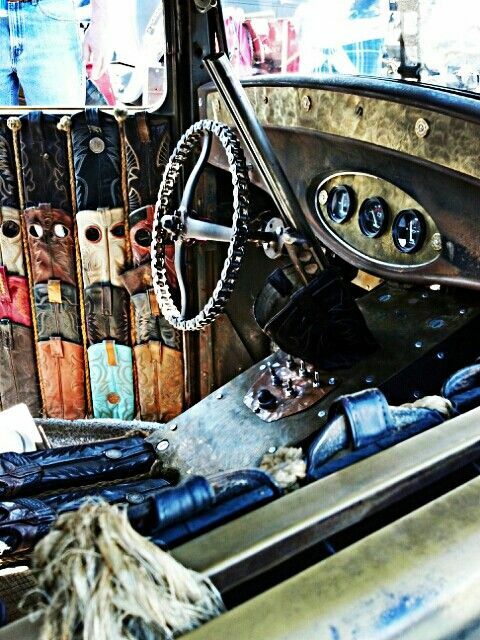 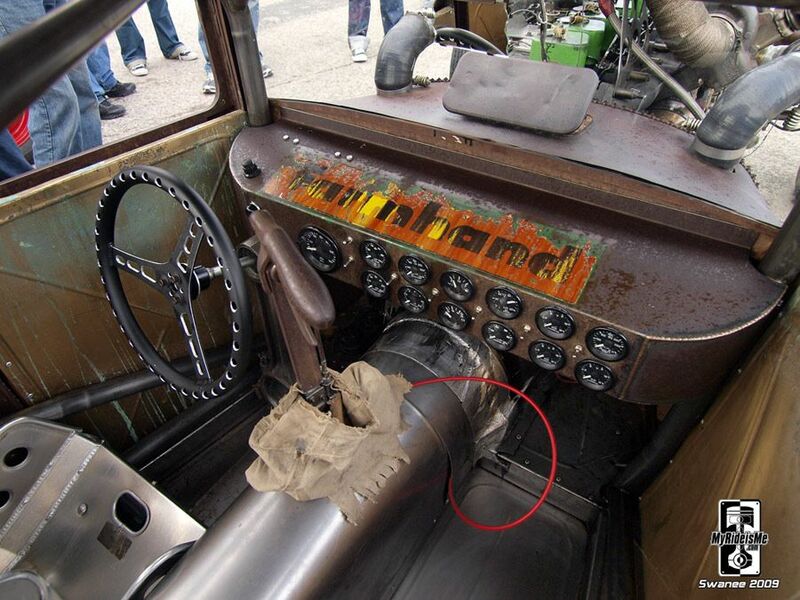 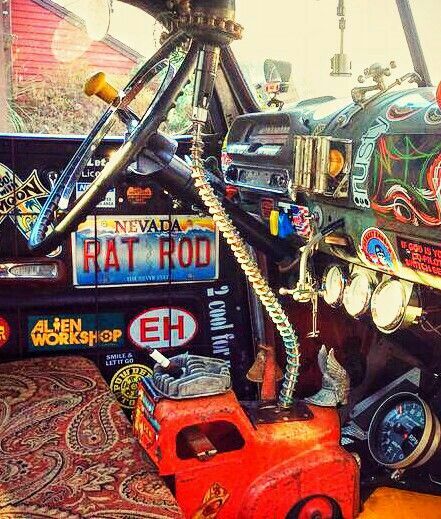 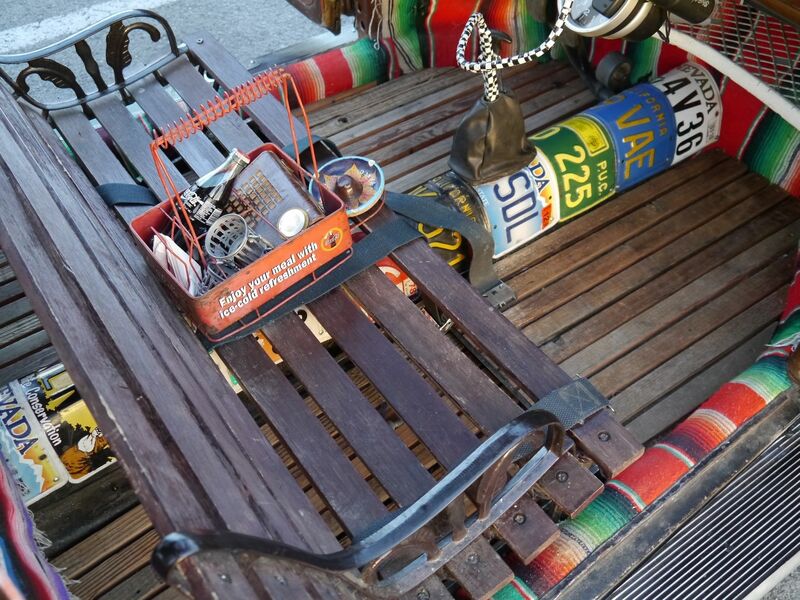 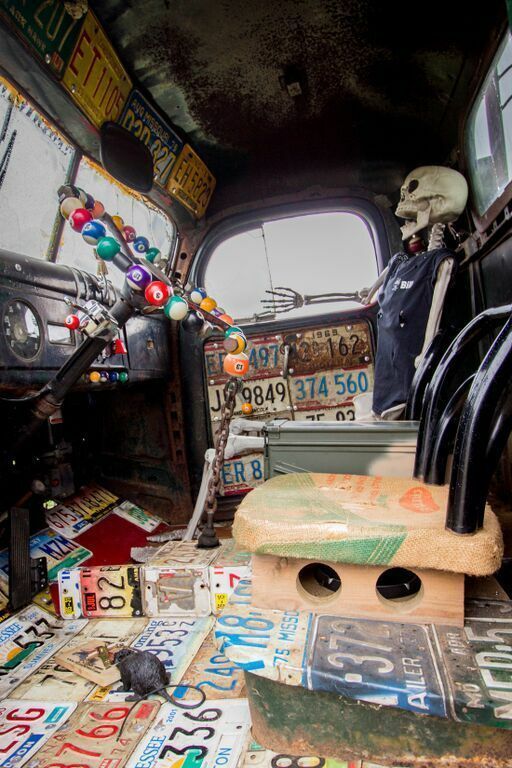 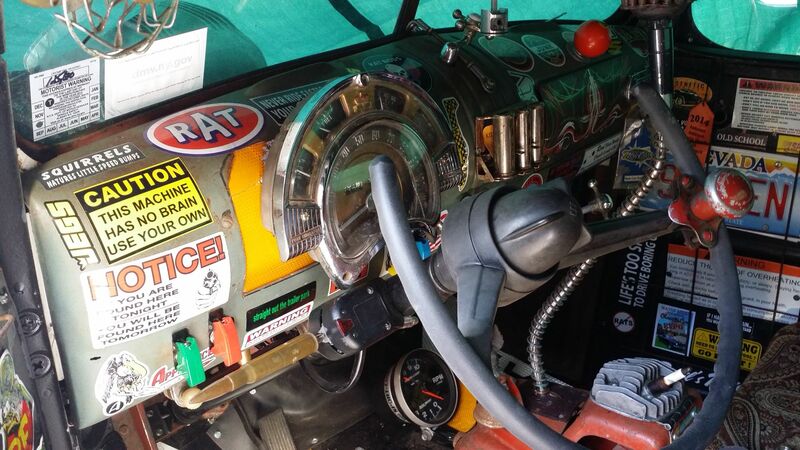 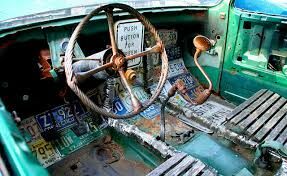 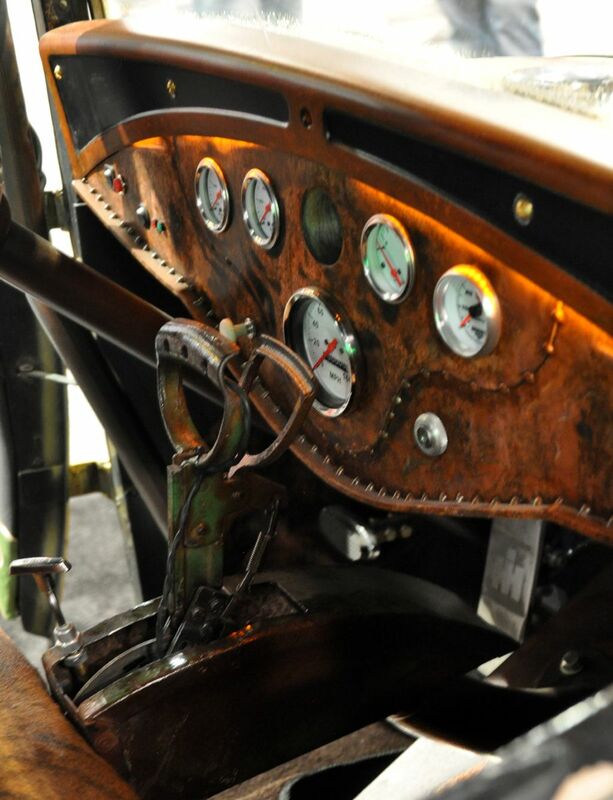 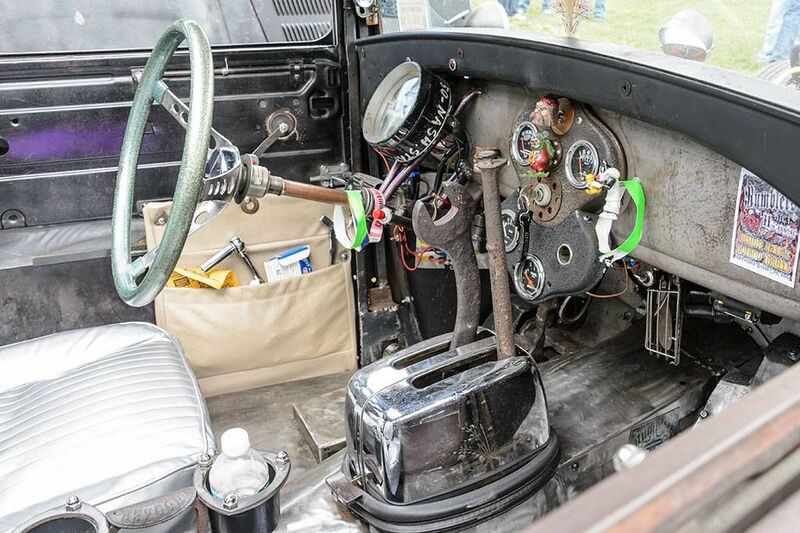 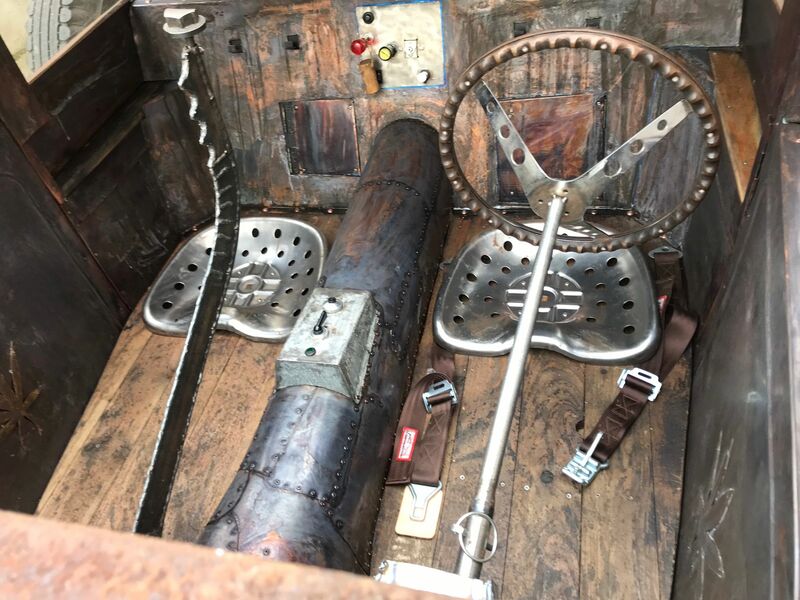 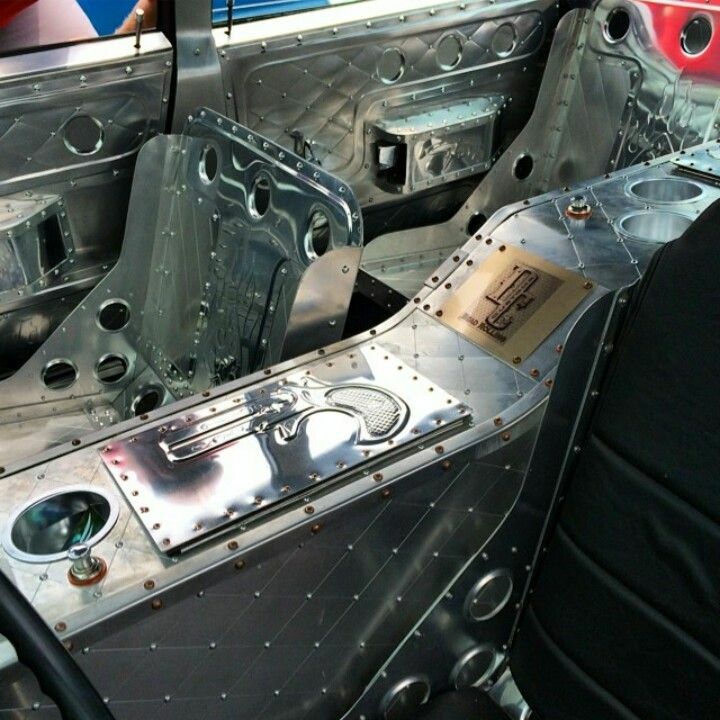 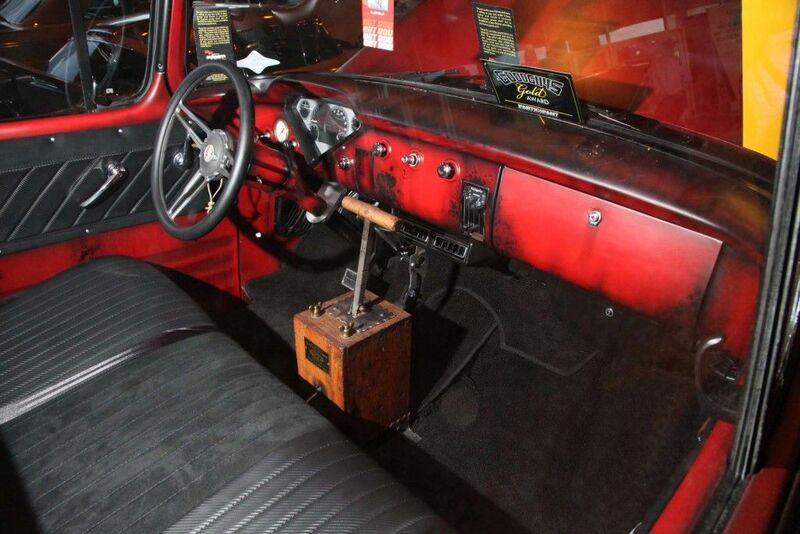 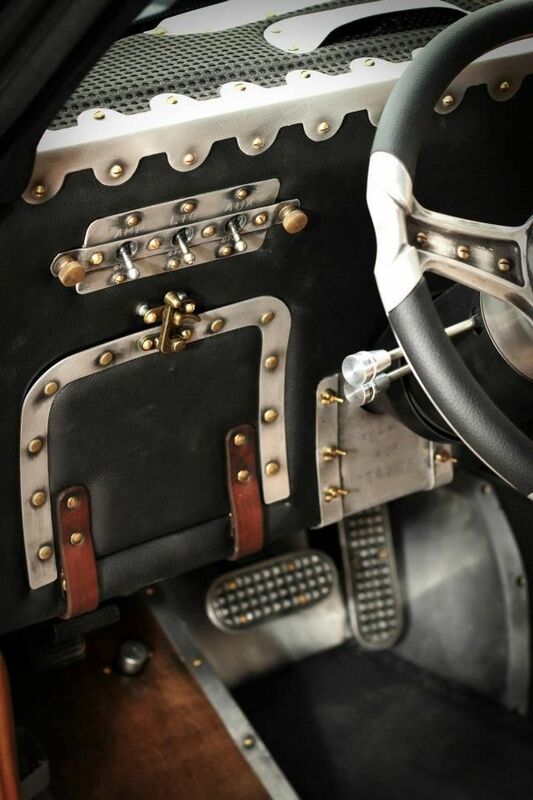 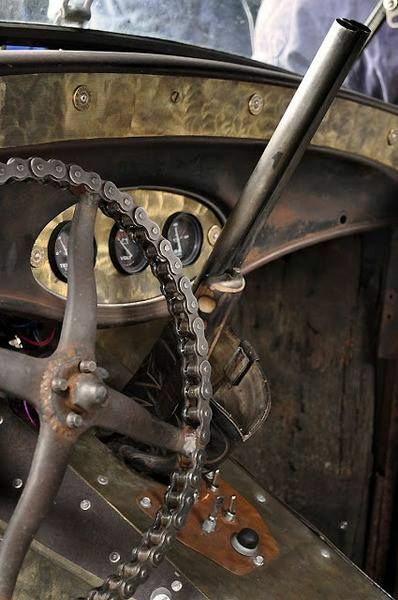 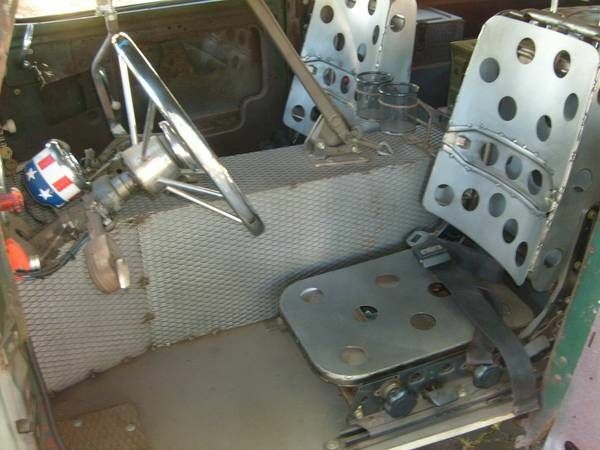 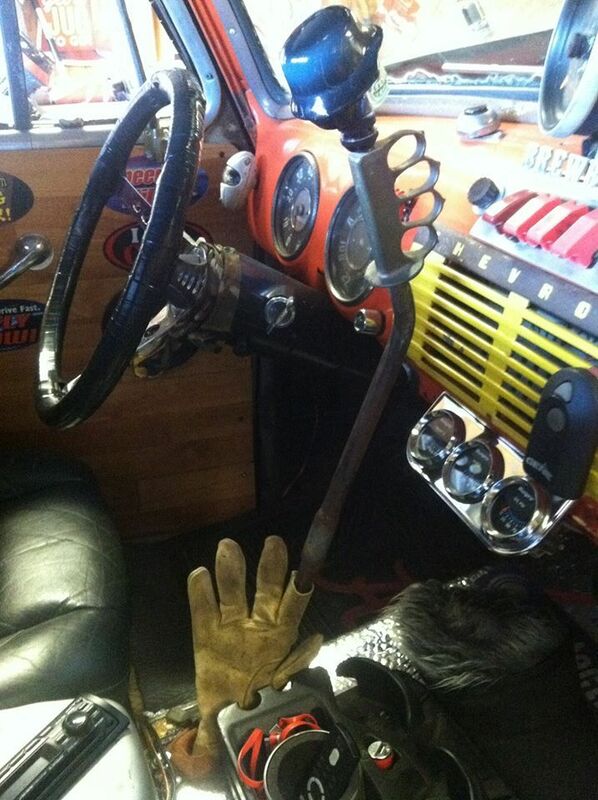 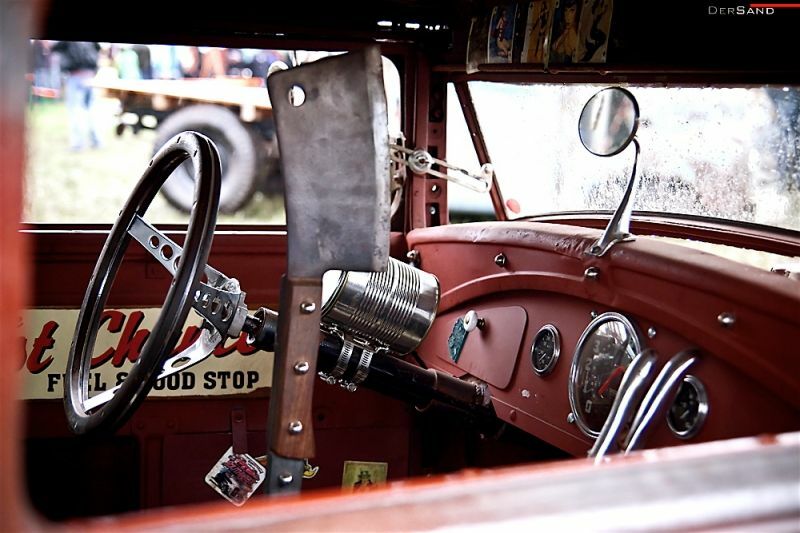 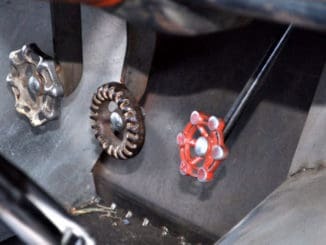 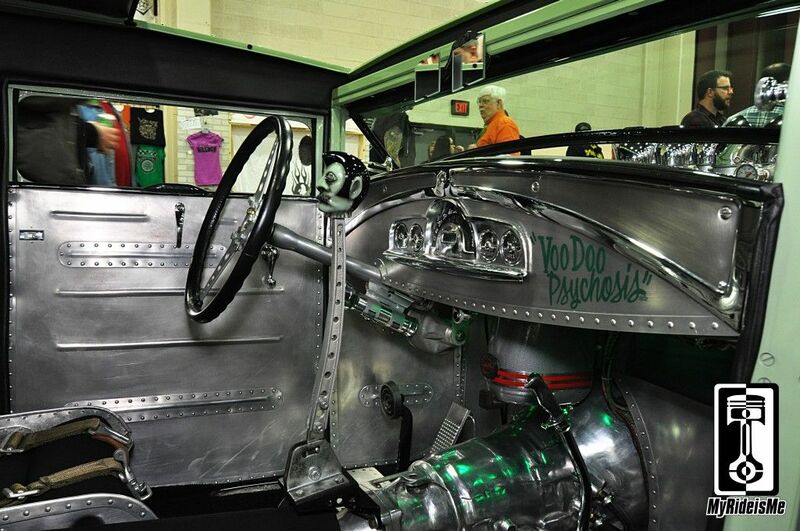 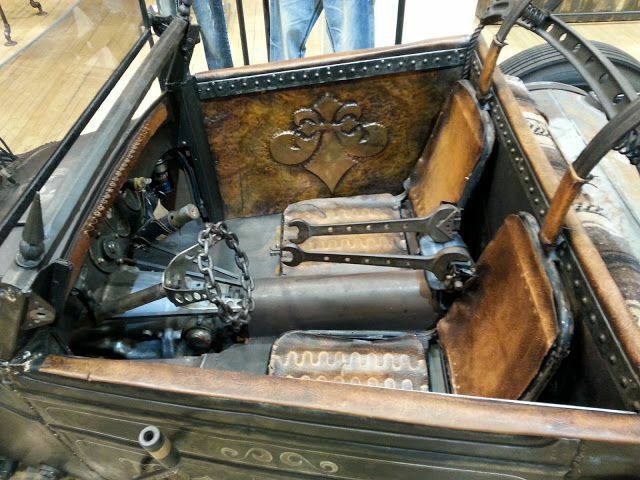 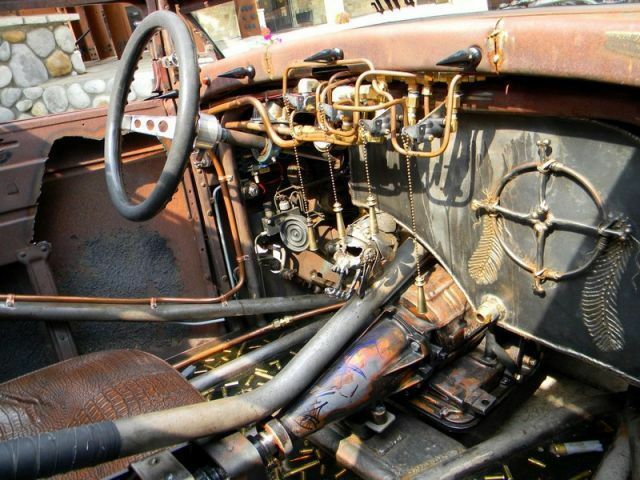 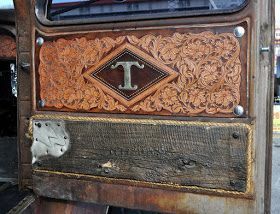 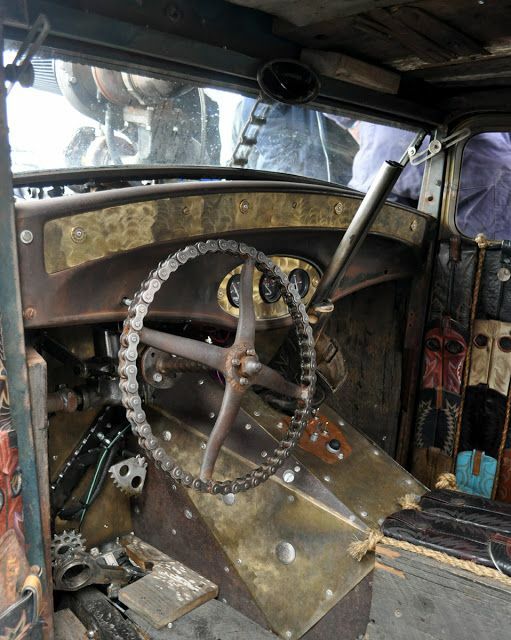 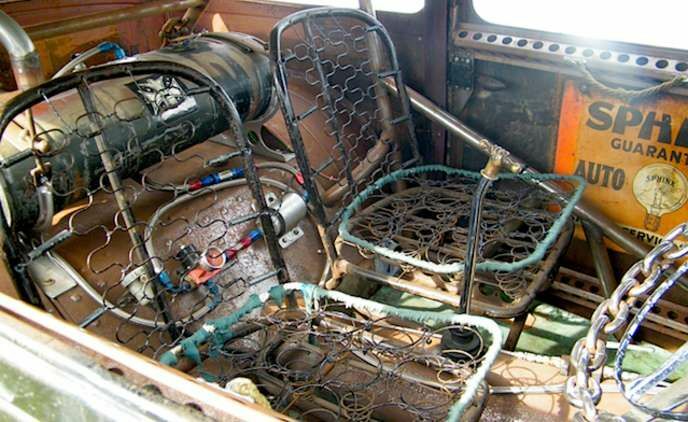 Lots of cool details in this ratrod interior from the toaster shifter boot to the exhaust collector for a cup holder. 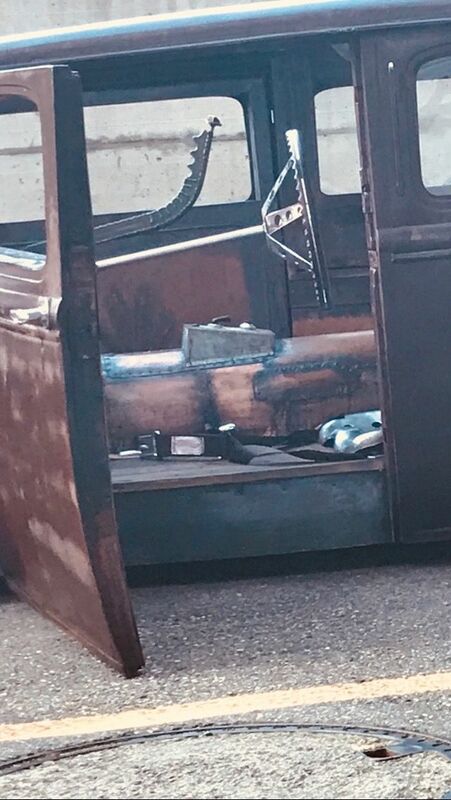 Make sure to look close for the details. 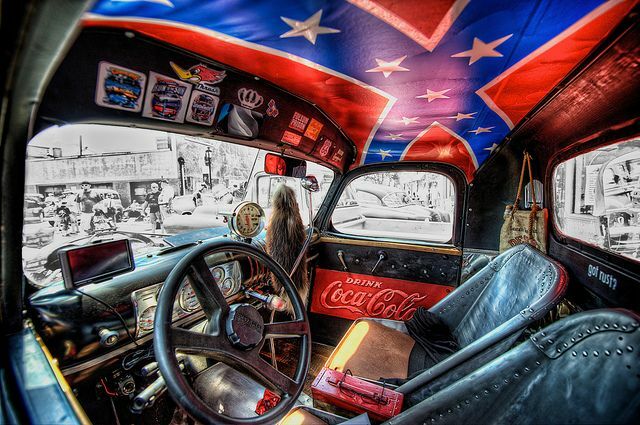 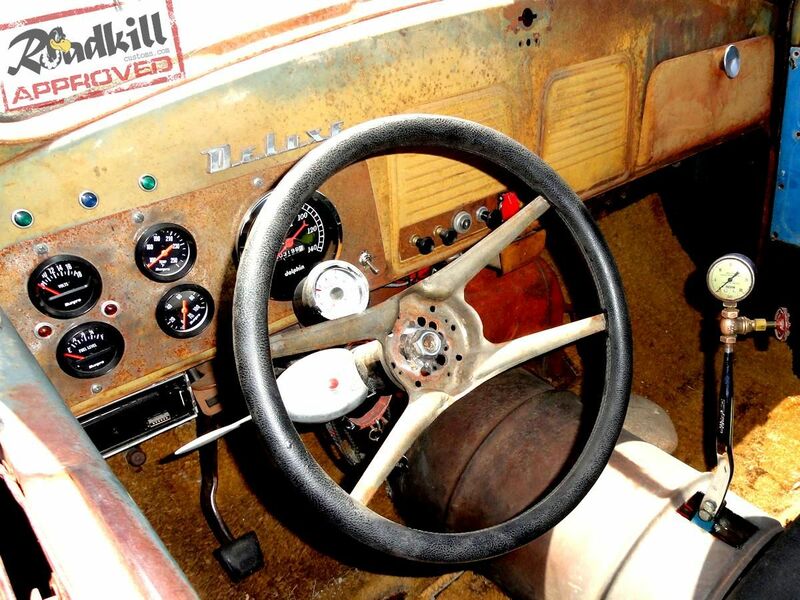 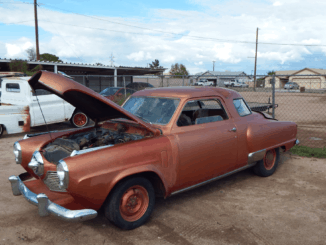 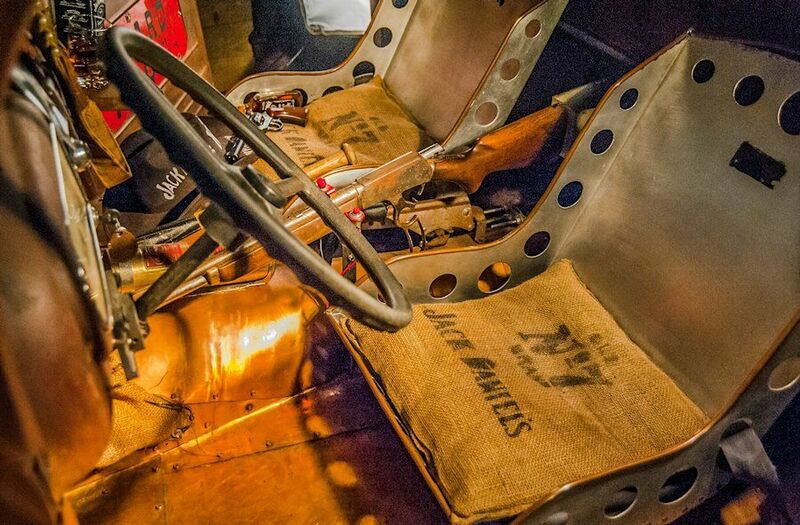 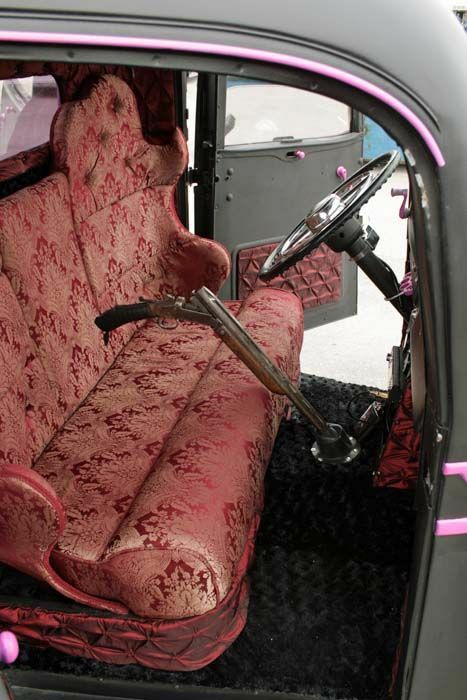 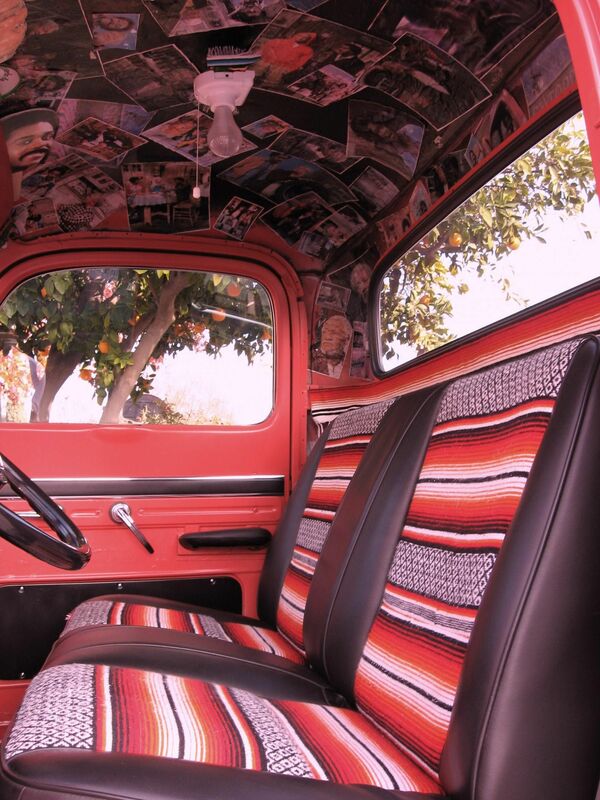 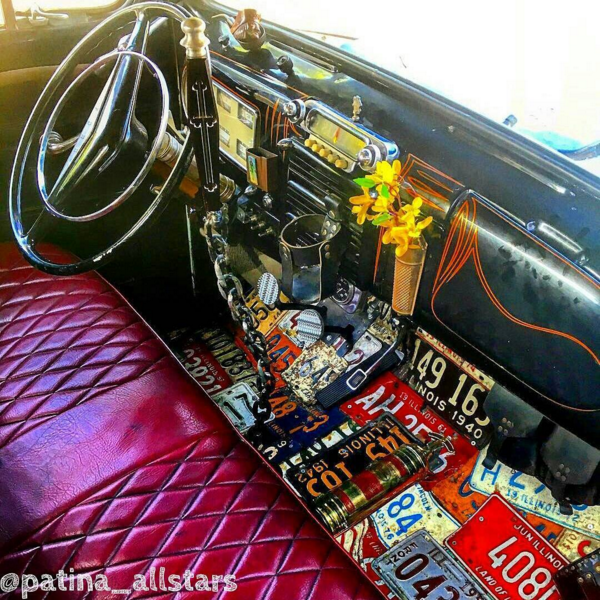 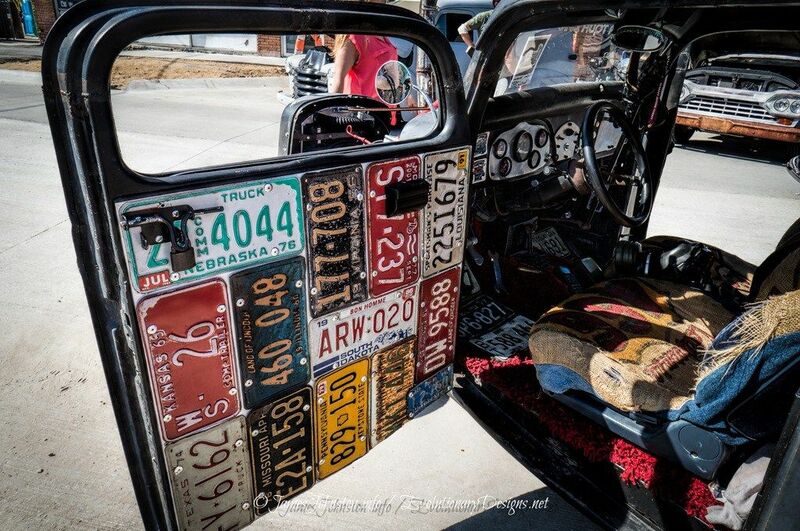 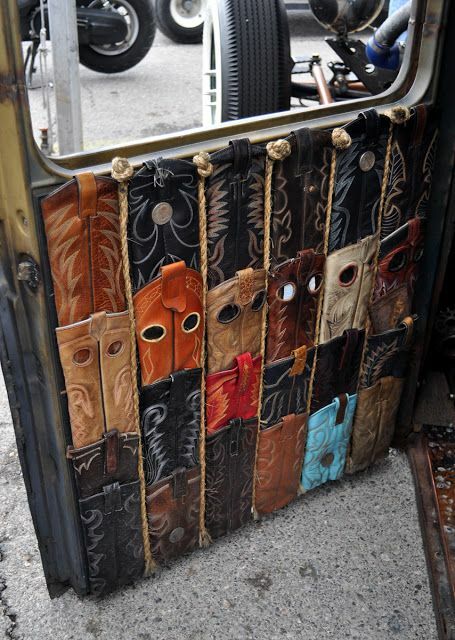 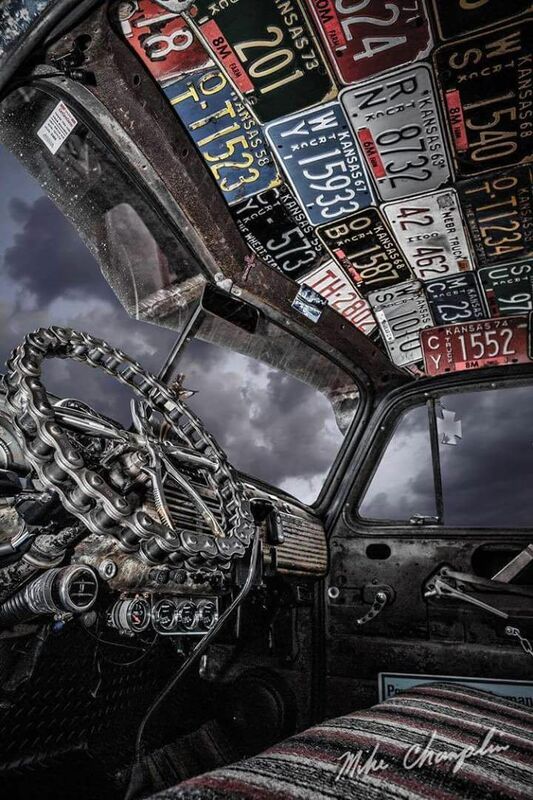 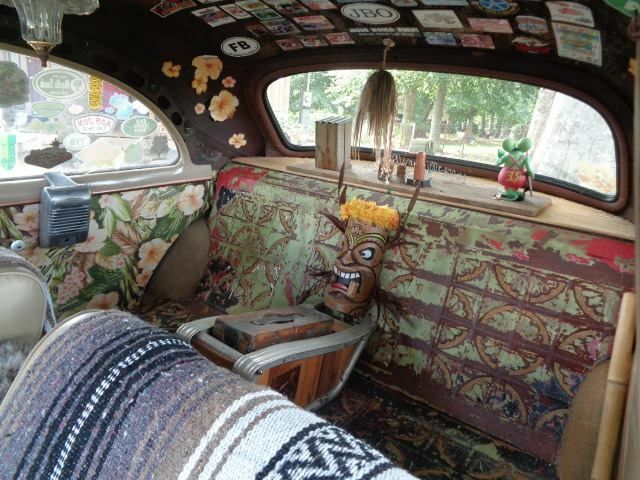 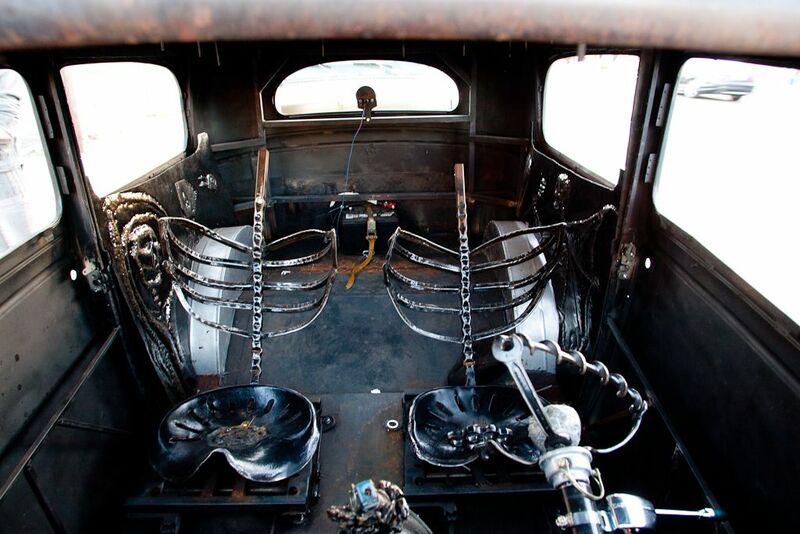 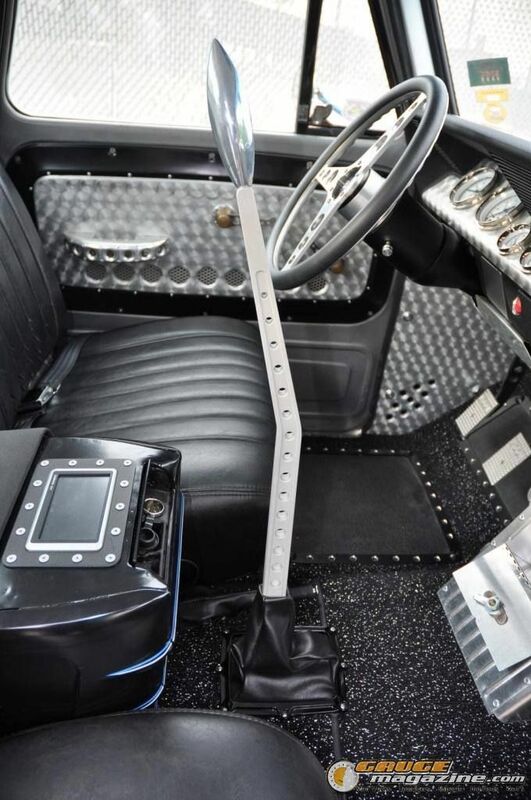 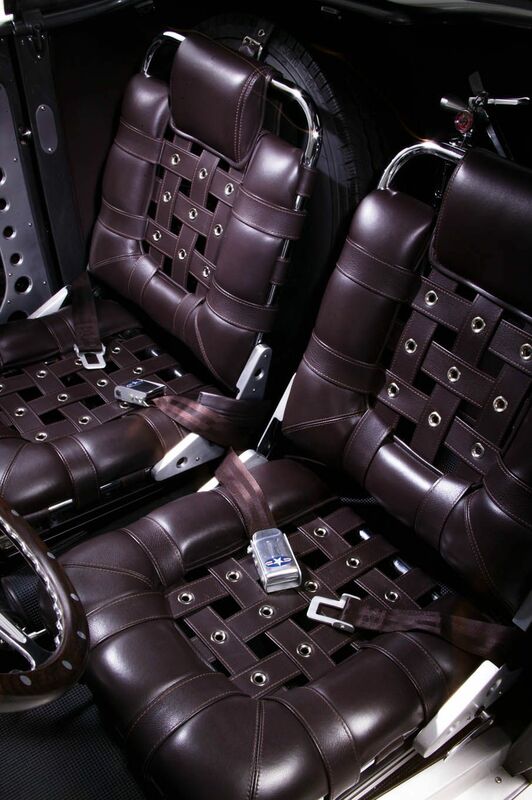 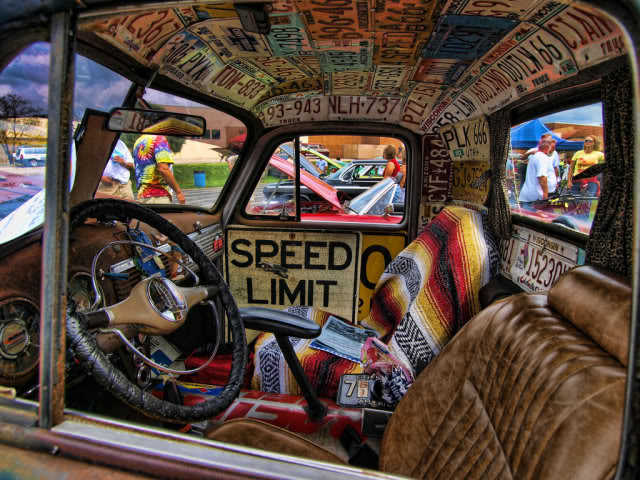 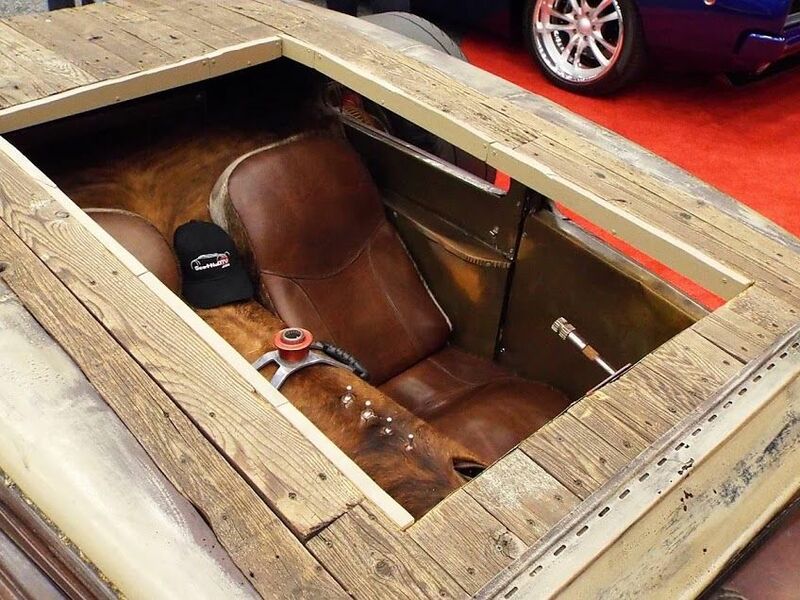 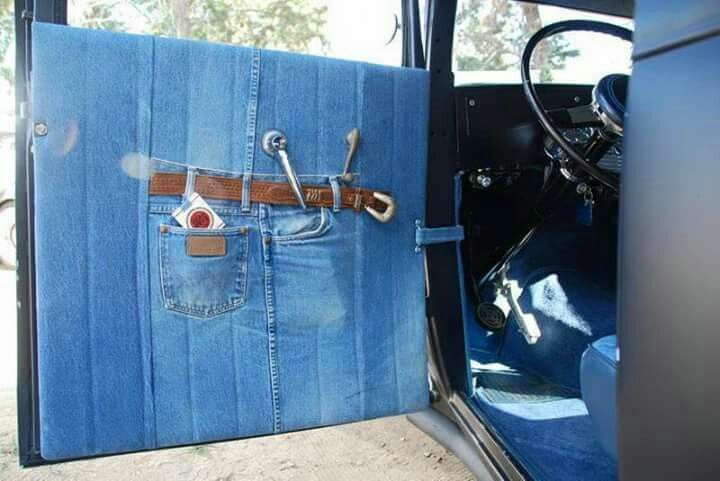 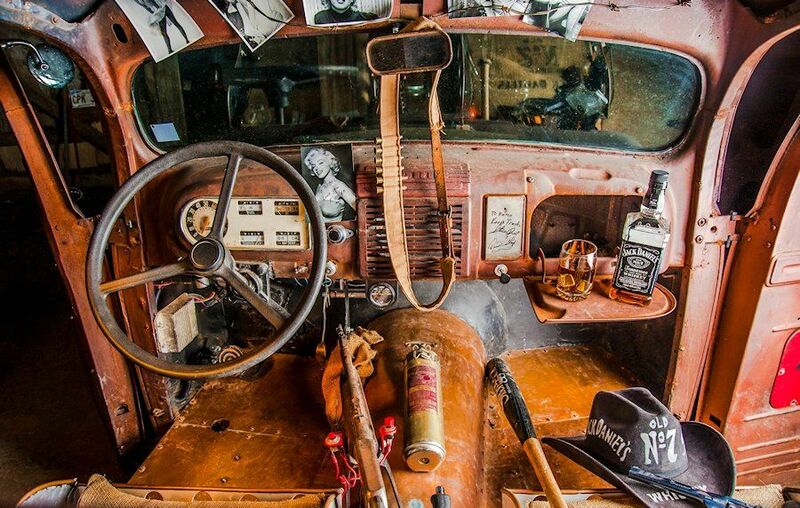 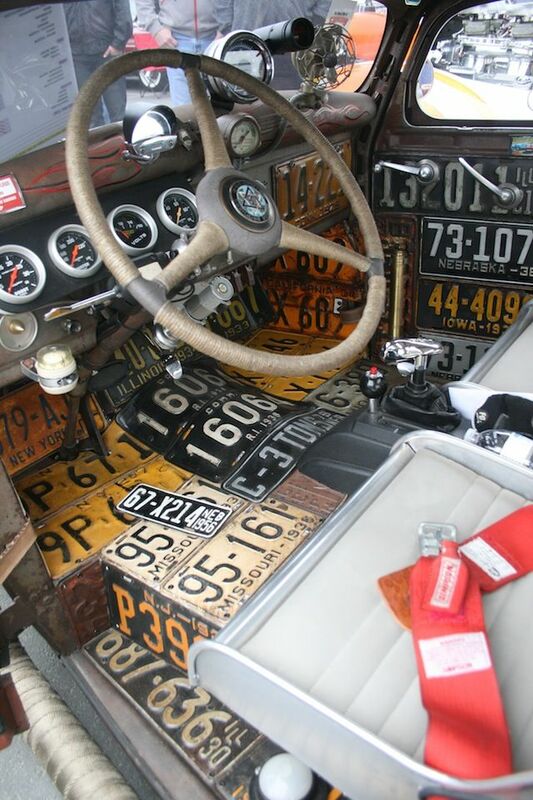 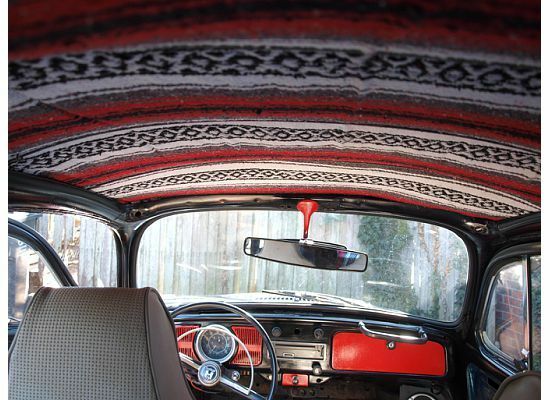 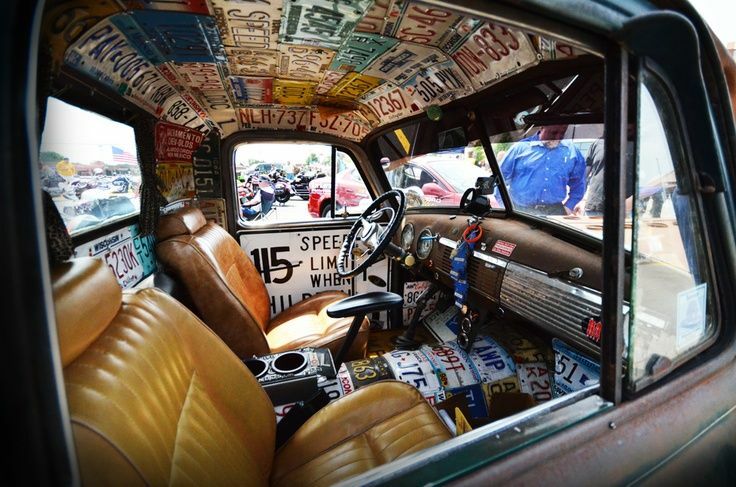 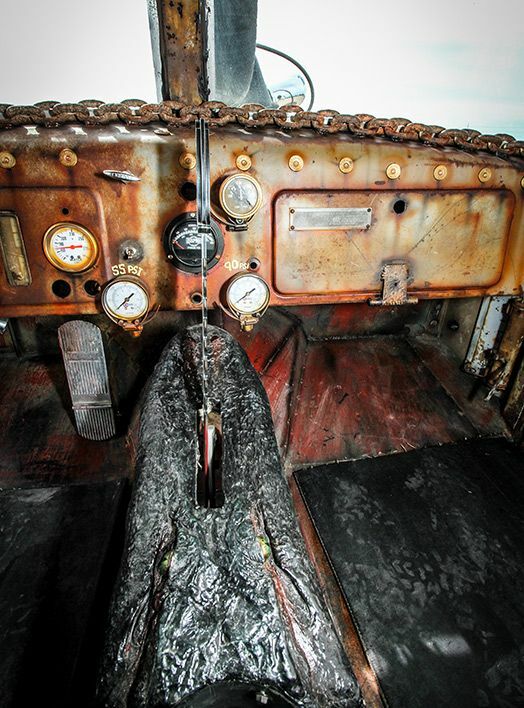 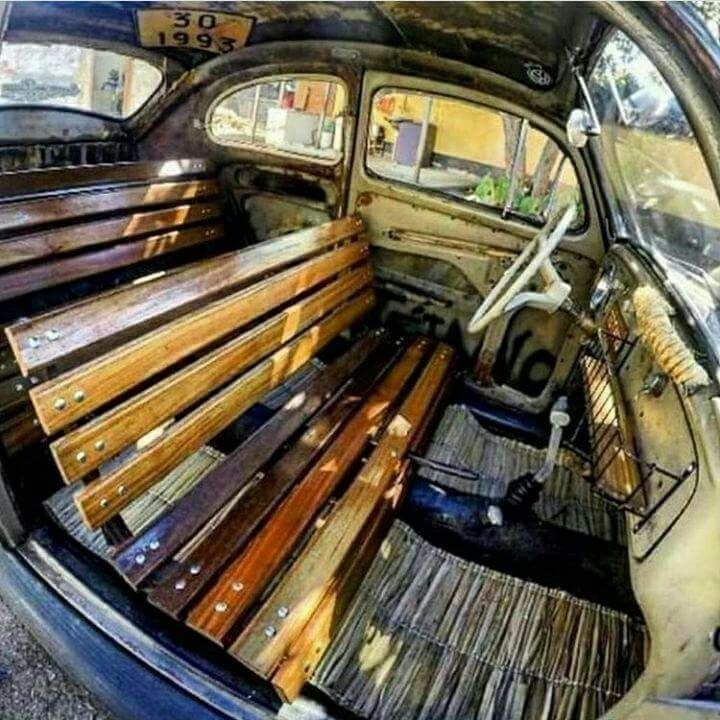 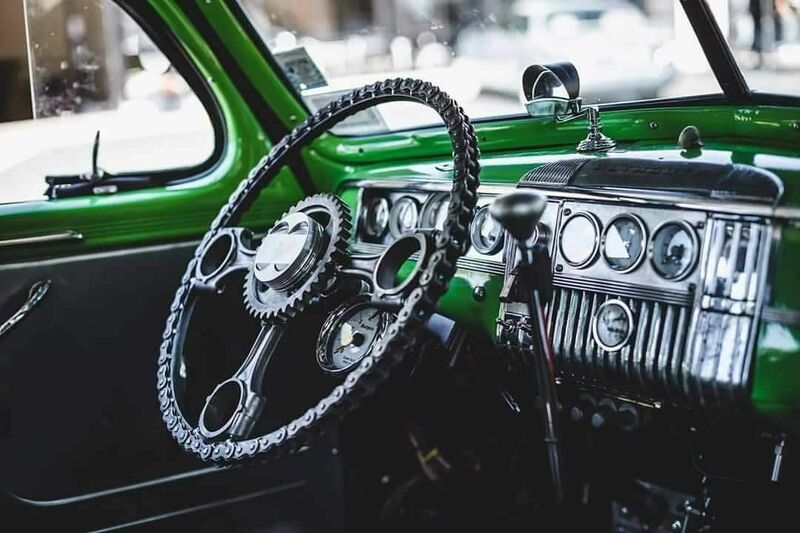 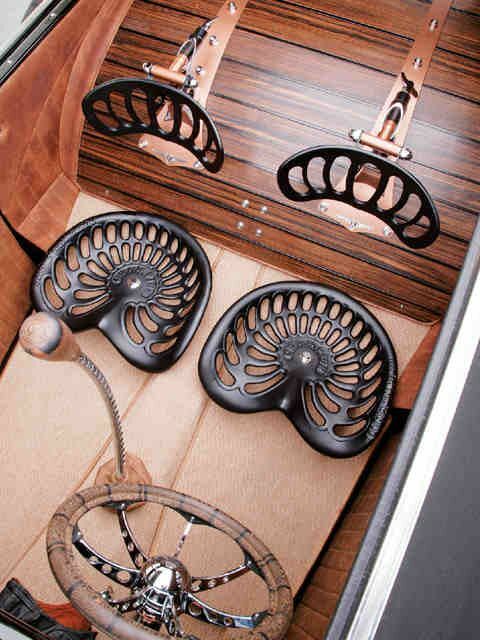 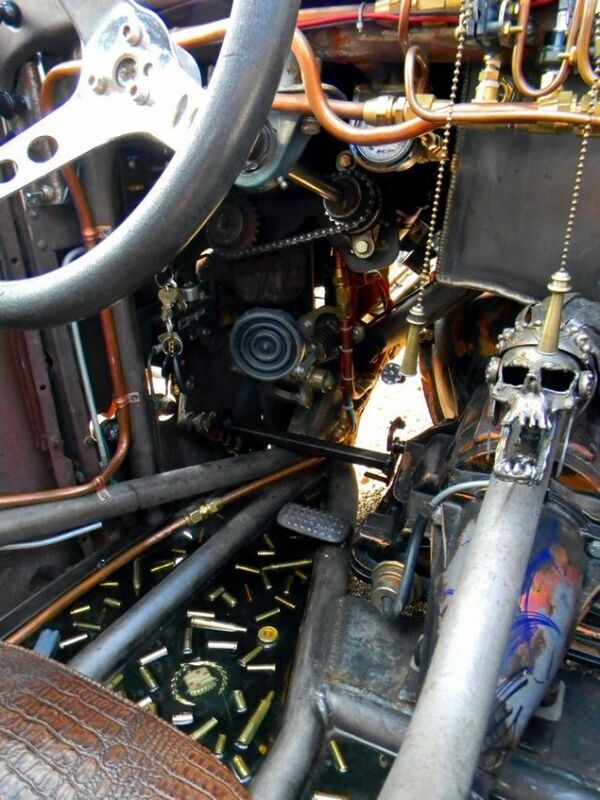 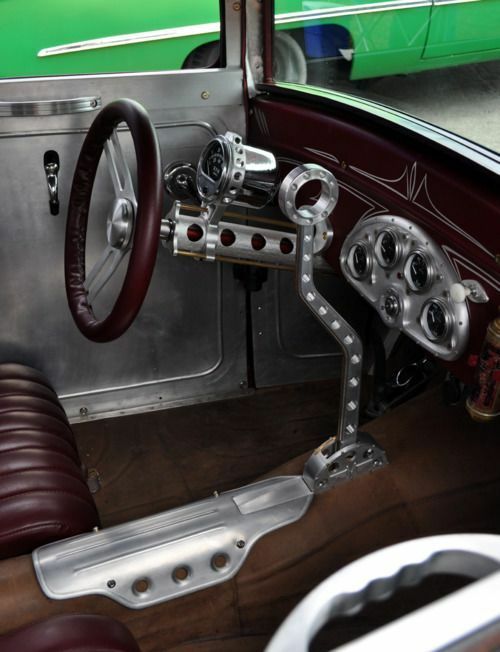 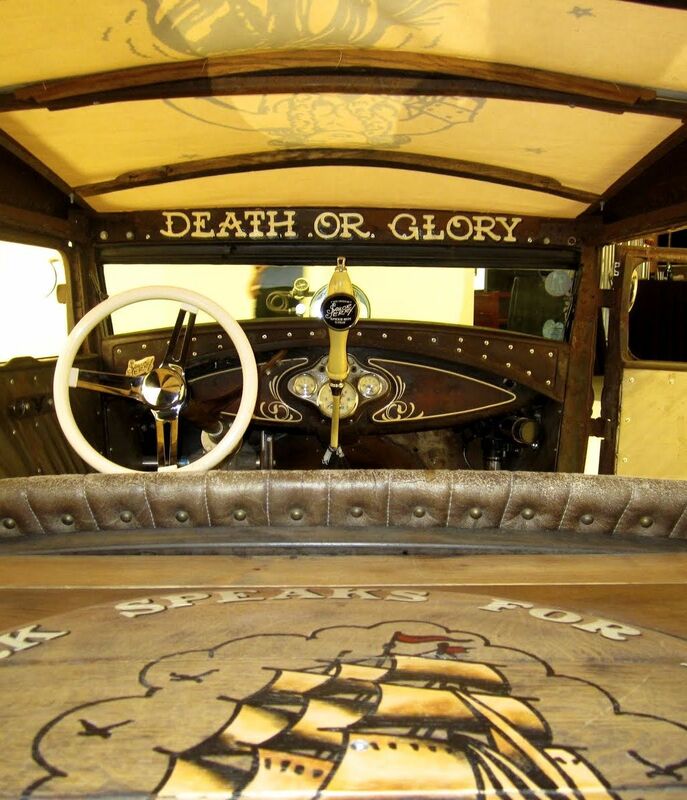 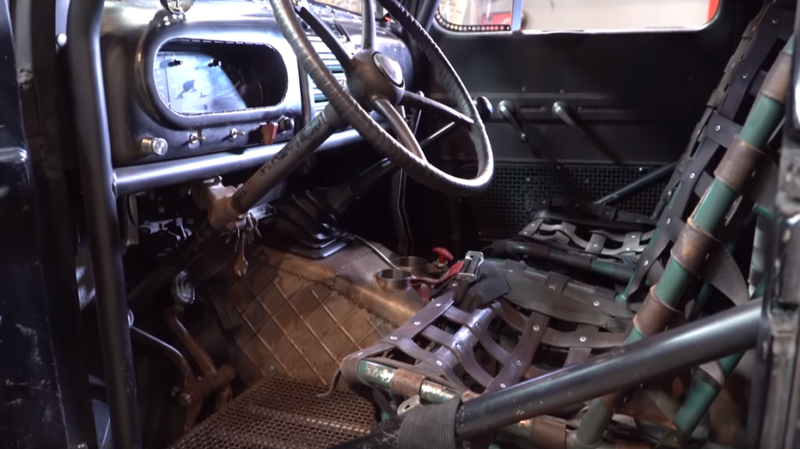 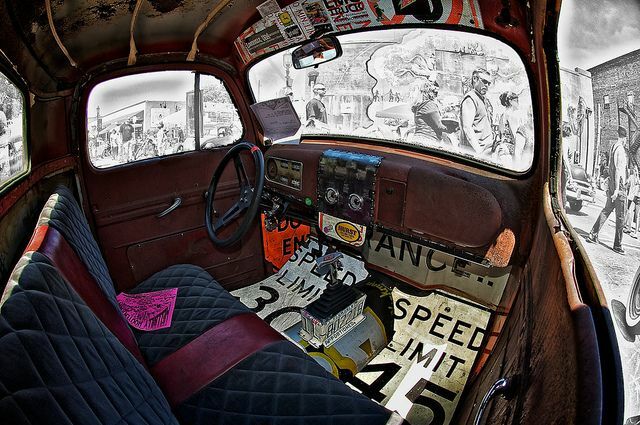 This Hot Rod interior is second-to-none! 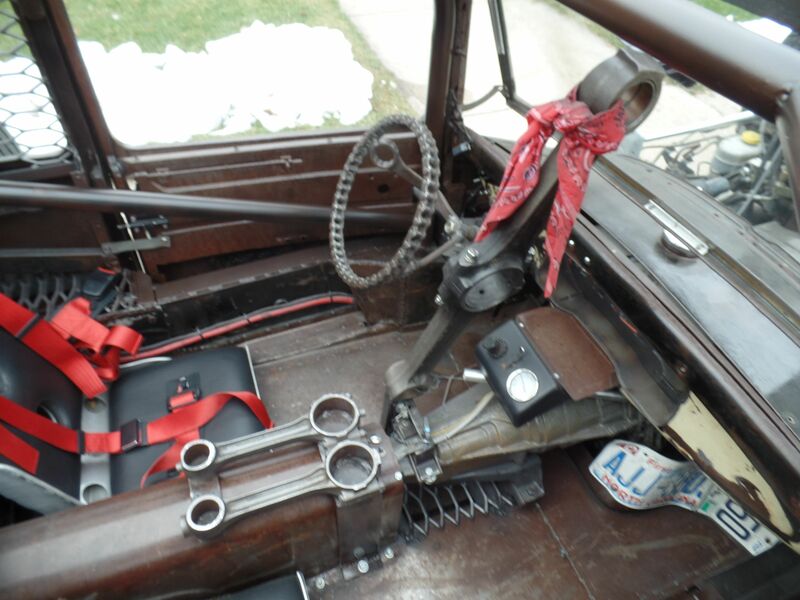 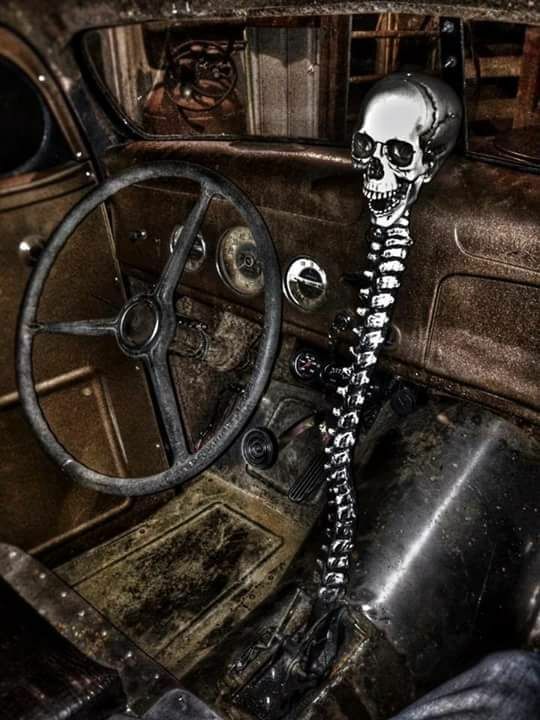 Bare bones rod interior. 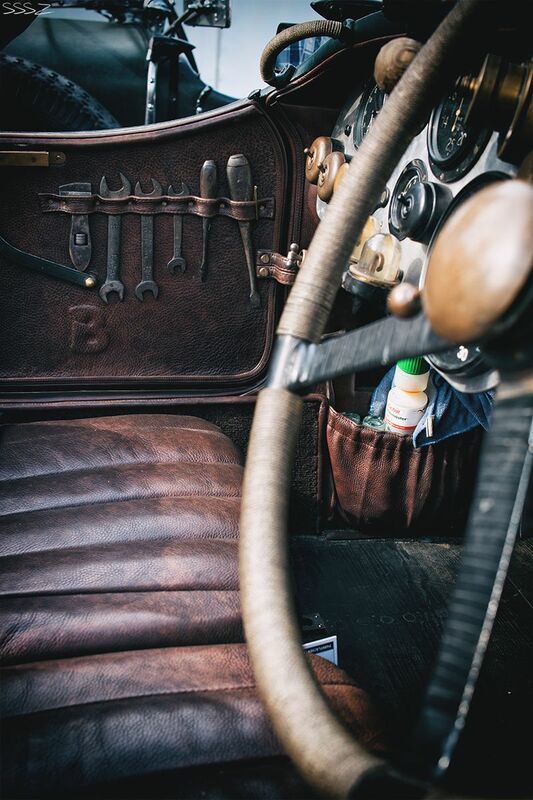 Just the essentials. 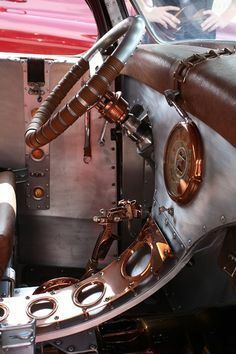 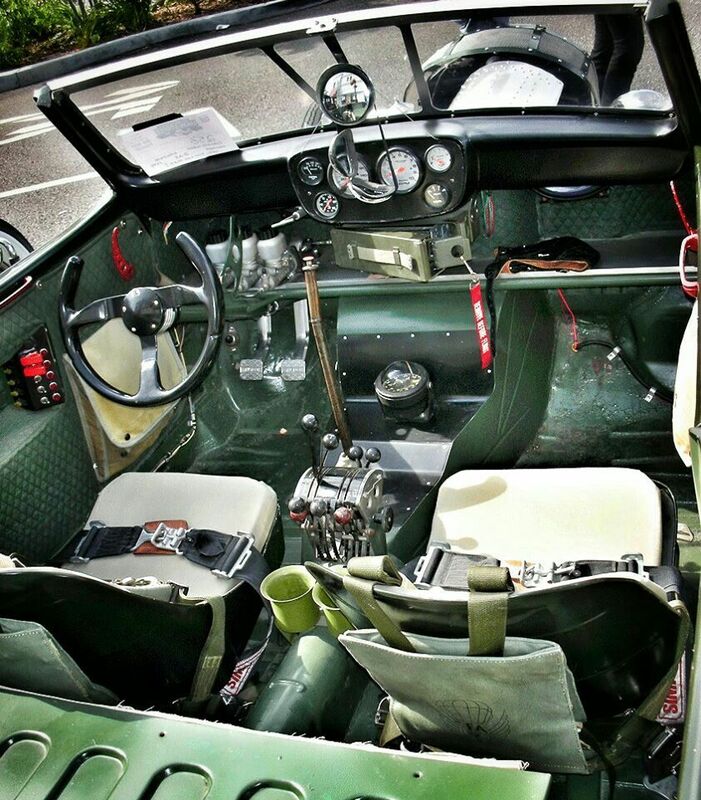 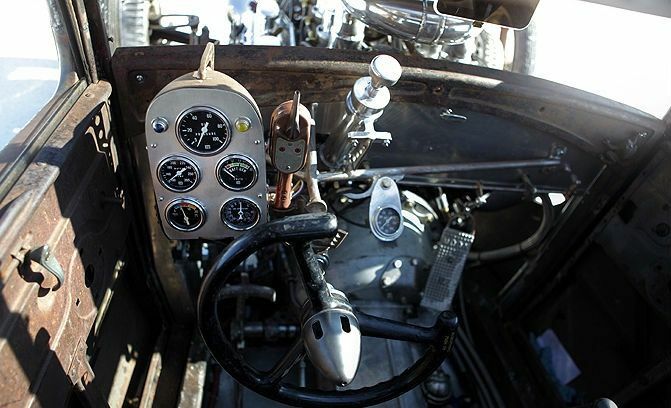 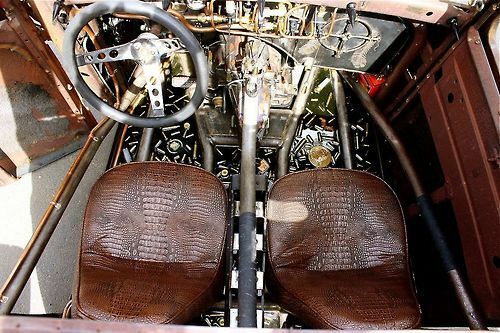 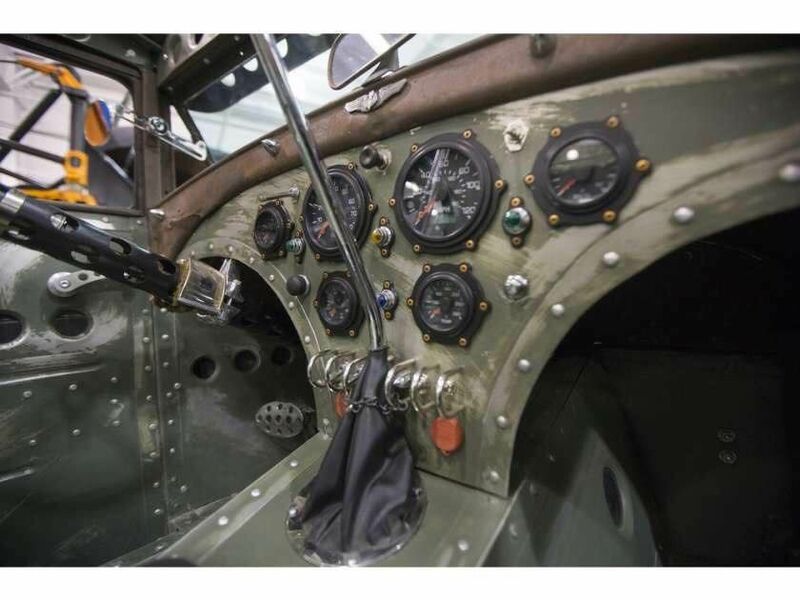 The interior is mind-boggling and truly gives one the feeling of a vintage fighter aircraft but remember this is a 1936 Ford roadster dialed in to drive the streets or maybe even race in road rally’s or other sporty car events. 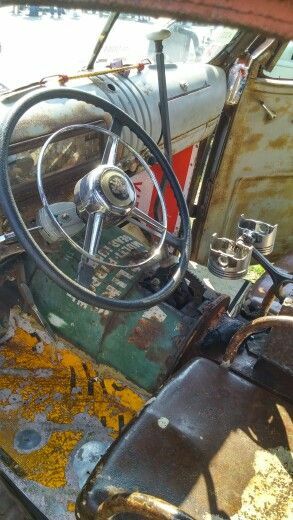 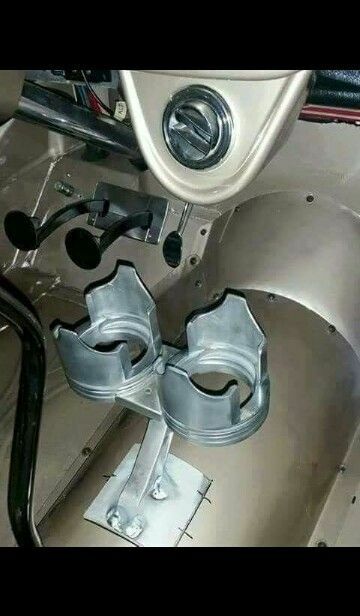 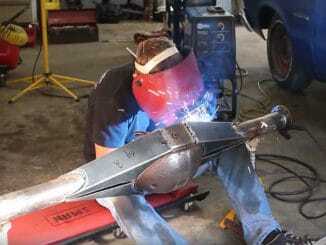 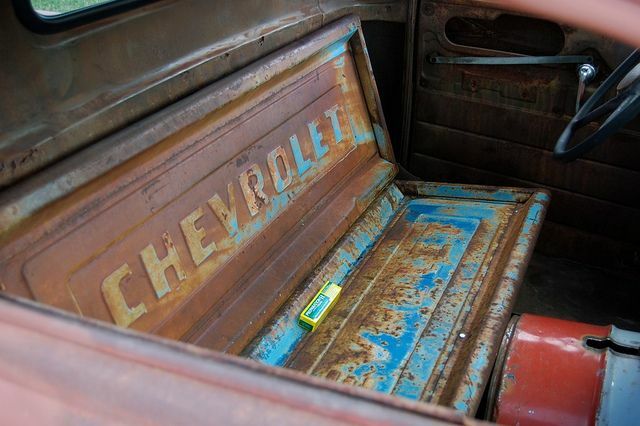 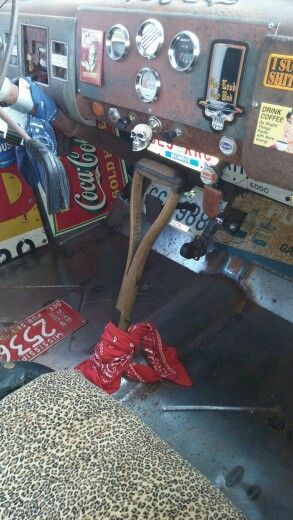 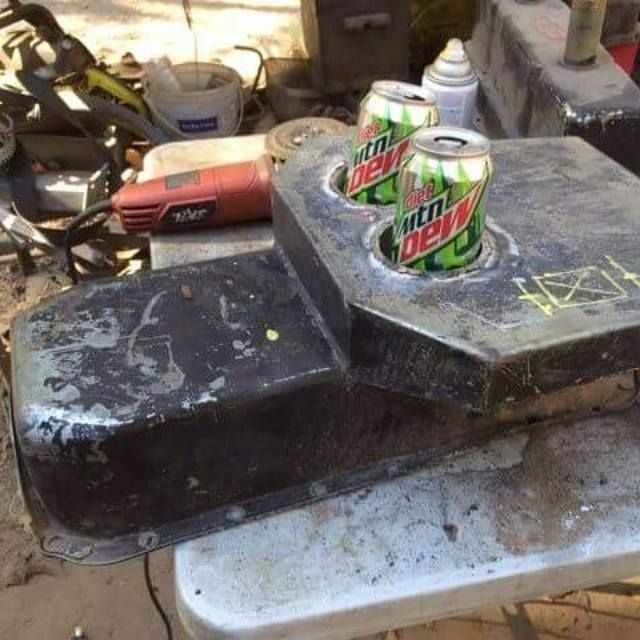 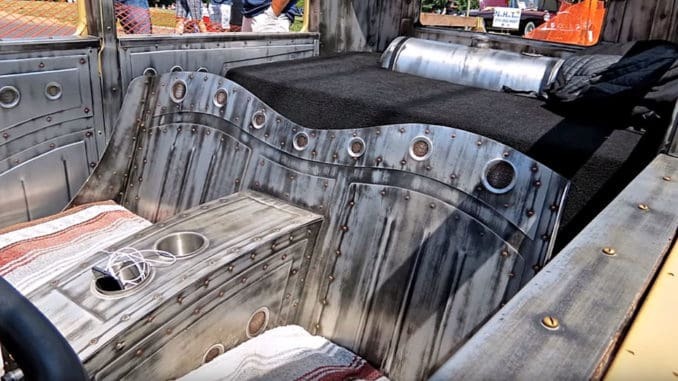 And oil pan used as a custom rat rod center console with some cup holders welded into place. 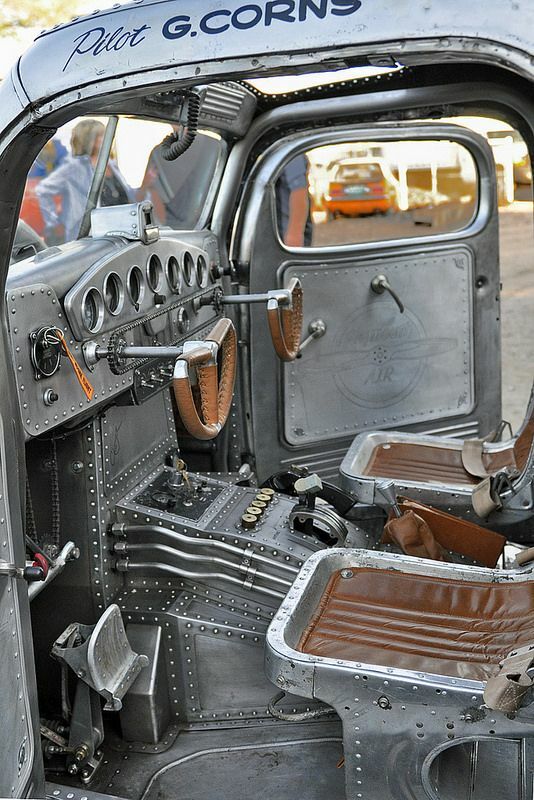 1939 Plymouth-1939 Plymouth truck with R-755-A2 Jacobs 7 cylinder 757 cid 300 hp radial engine. 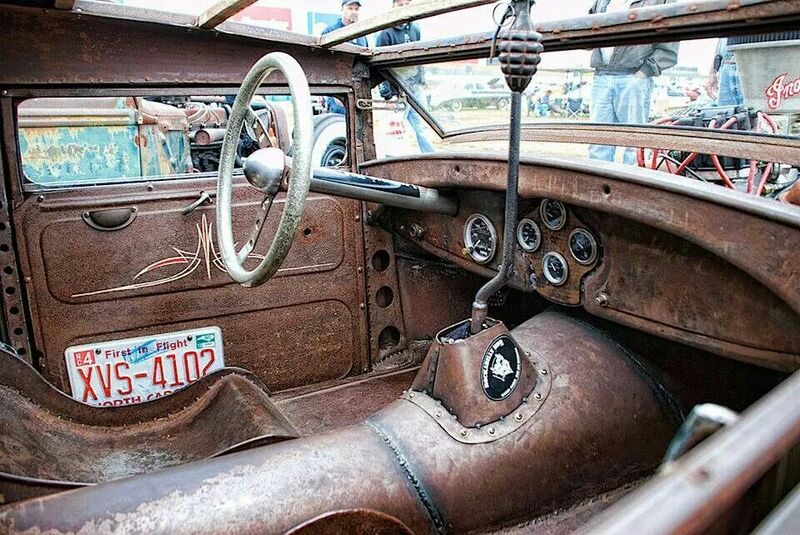 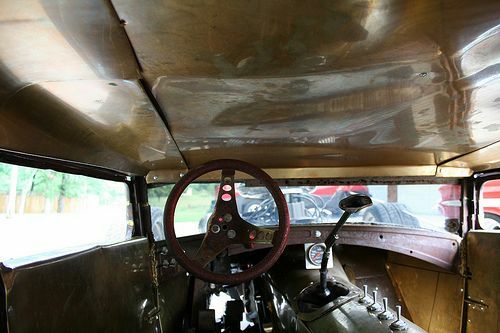 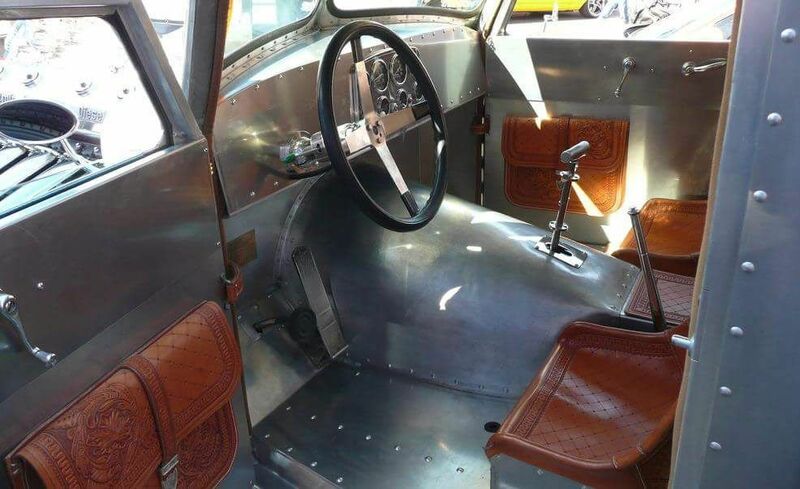 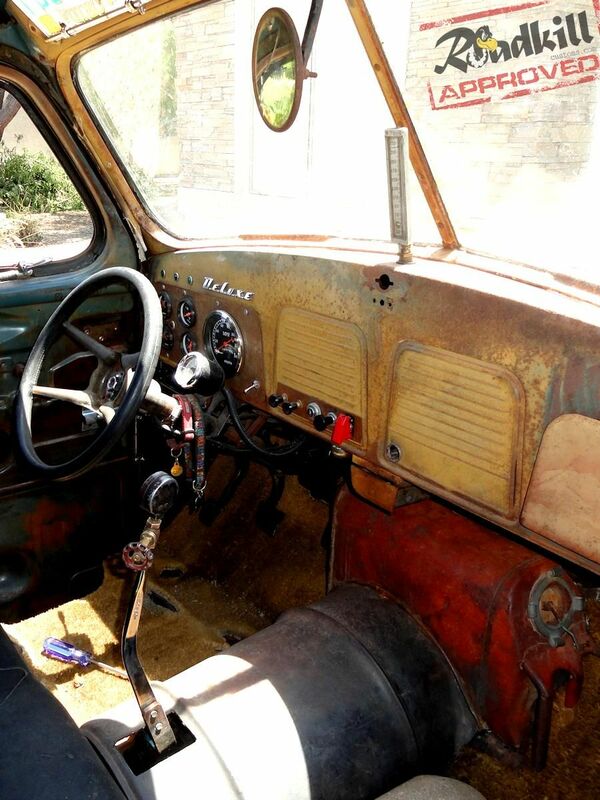 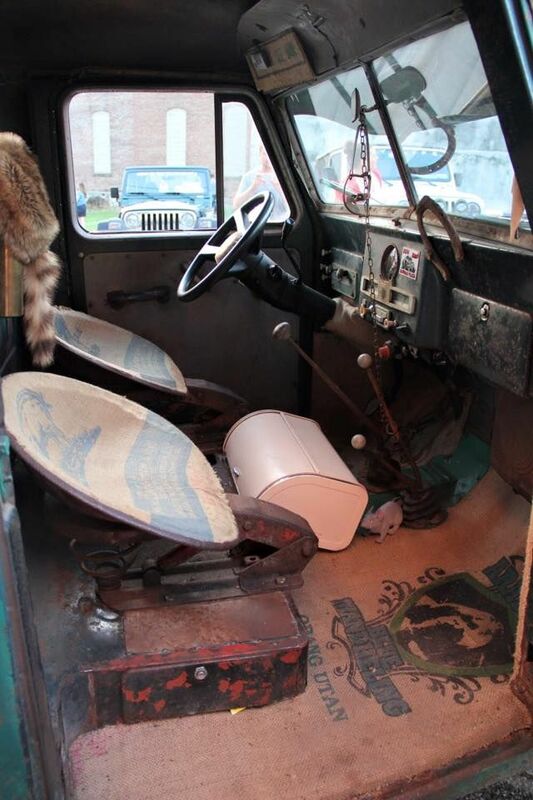 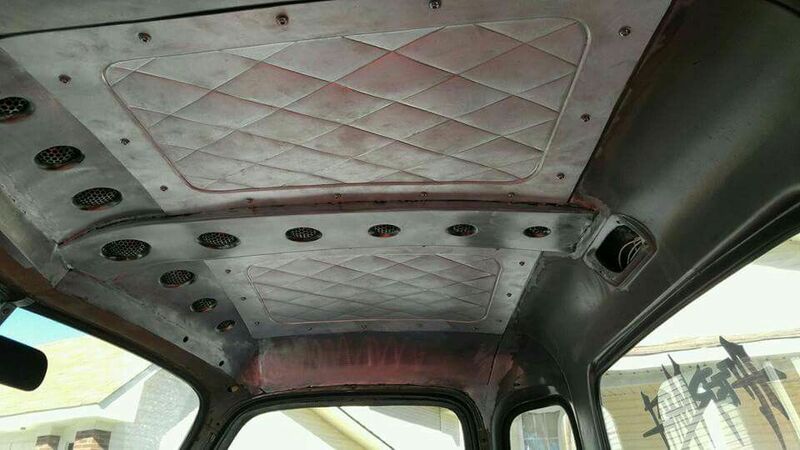 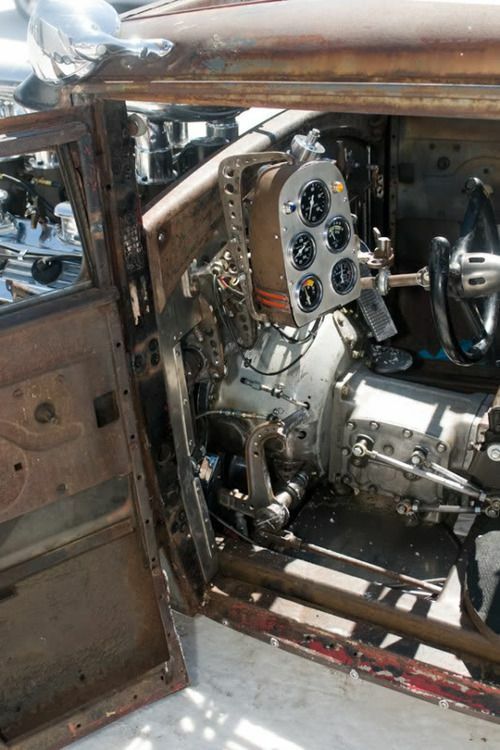 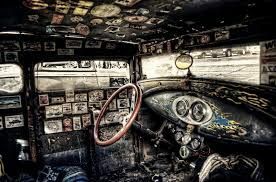 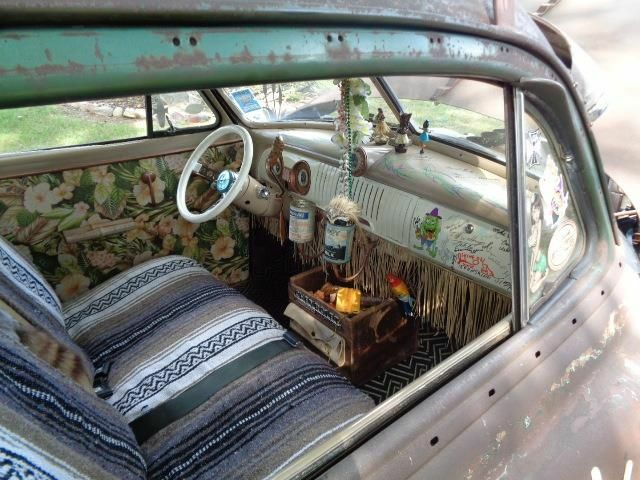 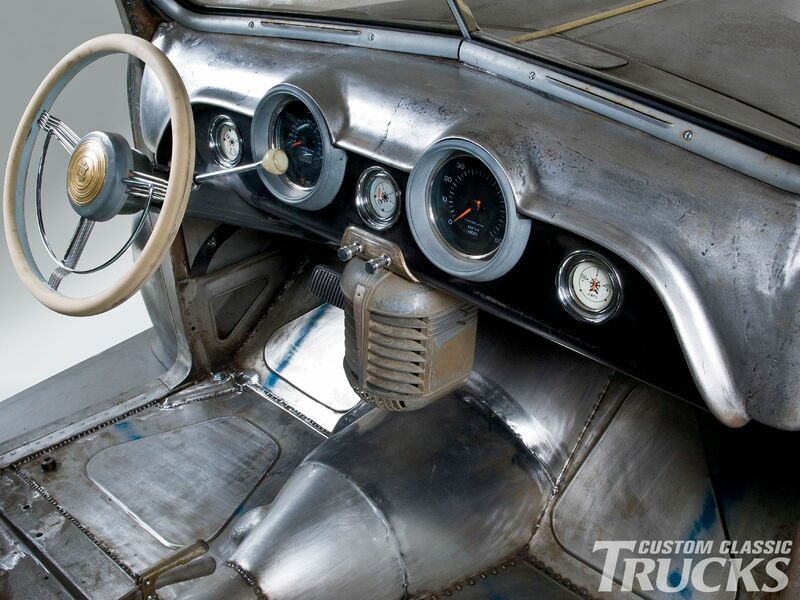 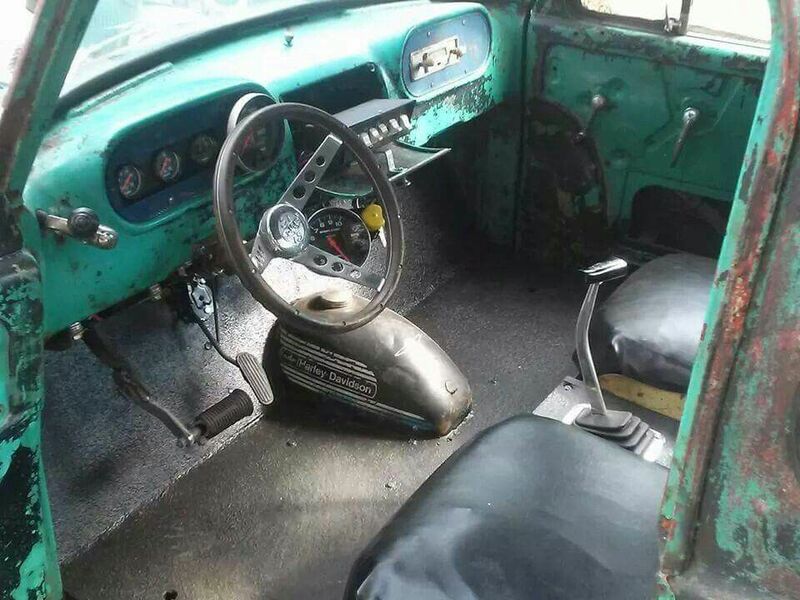 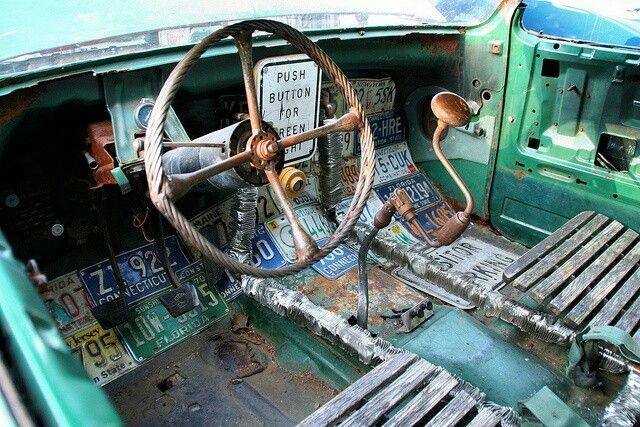 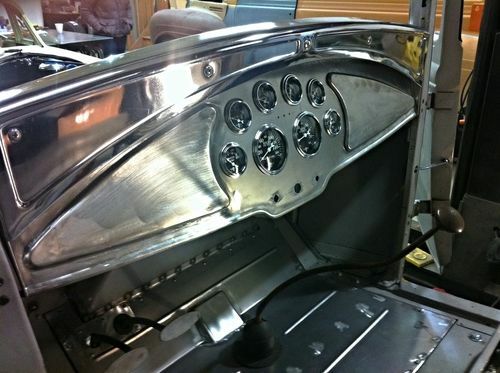 cool bare metal interior with vintage drive in theater speaker hanging under the dash.